We invite you to read about the success that our patients have had following treatment in our office right here in Boise Idaho. 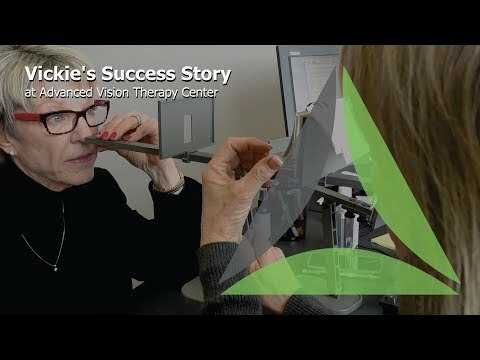 Our vision therapy success stories include people from Idaho, Oregon, Nevada, and Utah. Paul was in 8th grade when he first came to Advanced Vision Therapy Center. He had been diagnosed with ADD in elementary school and has had an IEP in place since second grade. Despite the additional help, he continues to struggle in most areas of school, most significantly in reading and language arts. “Vision therapy has been a life saver in helping Paul read in a straight line and with comprehension. Memorizing by hearing was the only tool he had before vision therapy, now he can use his eyes and his ears to learn. He is catching up with his classmates and actually passing classes now. Vision therapy is an incredible tool in getting the eyes to work together. Just wished we would have known about it many years ago. So much catch up to do now in bringing the art of writing papers to the next level that it should be." We had our son at the Kings Kids Pre-School in Meridian, Idaho. The teacher spoke to us about Tyler's reading and his ability to spell sample words. the concerns were presented to Dr. Johnson, he explained the services provided through your practice, specifically vision therapy. Tyler began first grade at Cole Valley Chrisitan School the next fall. Mrs. Burnside expressed concern of Tyler's ability to read from a short distance and Tyler spoke to his mother about his eyes going crazy and seeing light with one eye and dark with the other eye. Tyler's eye examination revealed a condition called "convergence insufficiency". The condition was explained as the eyes not working together. Tyler began eye therapy and there were red flags that began to explain some of Tyler's physical limitations including; going up stairs left foot - left foot, coming down stairs left foot - left foot, not able to maintain balance on a bicycle, not being able to catch or throw a ball. Therapy was two times a week, home therapy every morning before school, after school and incorporated into home work study for spelling, and math facts study. Zach was seen at Advanced Vision Therapy Center during his senior year of high school. The initial evaluation was prompted by Zach's slow reaction time and lack of spatial awareness; for example he would often run into people as if he did not know where they were in relation to himself. Zach's story illustrates how the visual system, specifically visual perception, guides movement. After therapy with Advanced Vision Therapy Center, Zach demonstrated better body control and a better awareness of his surroundings. These new visual skills also helped him with driving and even school, with subjects such as geometry. During February 1989, I was involved in an accident, breaking bones and causing a closed head injury. I was unable to communicate properly, had great difficulty with balance and fatigue, and a great memory loss. Unable to read, I was having bad headaches along with dizziness. The neuro-optometric assessment was the first step towards improving my vision. The doctor really understood how my closed head injury had affected my vision and was then able to recommend therapy for me to improve. My vision therapy was in conjunction with cognitive therapy. As I relearned, I was also trained to bring my eye focus back. I was taught how to control my balance and how to speed up my thinking process. Your family will be thrilled at all kinds of results of learning that is possible after vision therapy. "My son was having all kinds of troubles in school; we were looking for anything that might help him. During an eye exam they found that his eyes were not tracking properly. I watched him suring the exam and realized how much I was missing as well. I had always been told that I should see one thing or another by my teachers, friends, and family but it never seemed to match what I saw. Those around me used to do things so easily but I didn't see what they saw and would just guess. Sometimes I was right and other times I couldn't be farther from what was supposed to be there. On the recommendation of Dr. Johnson my son started vision therapy. Zach progressed very quickly and he went from being at the bottom of his class to the upper half. He is in third grade and wend from a second grade reading level to a fourth grade reading level in just a few months. It was an amazing thing to see. As for me and my vision therapy, I am improving every day. Just the other day I was out with my father golfing and I actually saw the ball. They have always told me to keep my eye on the ball, now I actually can. I just want to give a very special thanks to Dr. Johnson and Advanced Vision Therapy Center for all that they have done to help both my son and myself. We appreciate all that you do." Brian's parents first suspected a vision issue when Brian would look at them with only one eye. He also complained that he occassionally saw "two". Brian's parents also suspected that this undiagnosed vision problem was affecting school, specifically reading. After attempting glasses with minimal success, Brian's parents decided to pursue vision therapy. Following treatment, his parents report that Brian now enjoys reading and is now attempting longer and more challenging books at school and in his free time. Most important of all may be the fact that Brian now is happier at school. Brian's mother was so happy with Brian's progress during vision therapy that she shared her experience with her sister and had this to say. "" We would like to say congratulations to Brian and his cousin for all of their success at school. “I would like to share with you the progress of Maggi so far this school year. Maybe you could share this story with other patients and their parents to give them hope. We have spent the last three years struggling over hours and hours of homework. This was extremely frustrating for me, but more so for Maggi because she had to deal with the frustration of not being able to do the work, but then dealing with me getting extremely impatient and wanting her to just get the work done and understand it. We would end the night with Maggi crying crying and me upset. It was not fun. The most frustrating part was that despite all the hours, usually two to three a night, Maggi was still doing poorly in school. When you are putting in two to three hours of homework a night and your child is still struggling so much you really start wondering if there is something wrong with your child. As a parent this really starts to scare you. You begin worrying that maybe they just are not bright and are going to struggle through their whole life. We had her tested at school but her average test scores meant that she did not qualify for any special help even though she was low is some areas. Again the frustration was setting in. At the beginning of third grade we brought Maggi in to see Dr. Johnson and he concluded that there were definitely some weaknesses in Maggi's eyes. She was not able to track words properly when reading and she may experience double vision or miss words on the page. This all made sense with what my husband and I have noticed when we read or do homework with Maggi. They helped Maggi understand her symptoms and explained to both us and the teacher how her eyes were working. This in itself was a huge relief to Maggi to be able to understand that there was something wrong with her eyes and she herself could work to fix it with vision therapy. Maggie completed her vision therapy program in four months and then it was summer so we had to wait to see how it would affect her school performance. Now for what you don't know... Maggi has been in school for three weeks. She came home last week with a 100% on her Idaho History test, 100% on her planet test and 100% on last week's spelling test. She has mastered two of the nine categories for the Wall of Fame for fourth grade. WOW! We have never had test results from Maggi like this EVER. We now have designated 5-6:00pm as homework time. She usually finishes homework before this time is done. Maggi's confidence is skyrocketing. She is participating and answering questions at school, which she never did before and she is actually looking forward to going to school. Prior to vision therapy, Jenna struggled with reading, spelling, and coordination during basketball. Despite one-on-one help, time in the resource room, and an IEP being in place, she continued to dislike reading. This is when Jenna and her parents turned to Advanced Vision Therapy Center. How is Jenna doing now that she is finished with vision therapy? Great! She now likes reading; both her reading fluency and comprehension have improved. "Advanced Vision Therapy Center is a wonderful program and has helped Jenna alot. Sue and Dr. J have been amazing! Vision therapy was well worth the time and money." Her mom noticed that even though Kaitlyn had a big vocabulary and loved to take books in for share day, she was still unable to read by age 5. Even though she knew her alphabet, Kaitlyn would often write backwards. At first she loved going to school, but as time went on her mother got more and more calls from her teacher reporting that Kaitlyn was being disruptive in the classroom and complained about challenging work. Things were just not adding up. When a child struggles in school for seemingly no reason, it can be extremely frustrated for all of those involved. Parents become frustrated when their child is not achieving his or her potential, teachers can become frustrated with a student who seems to be a different person each day of the week; performing well one day and failing the next. For the student it can be especially frustrating when all of their hard work and long homework hours don't seem to translate into good grades on tests. When a child's difficulties in school arevision-related, vision therapy can be that missing piece to success. In the few weeks Erin has been attending vision therapy, we are already beginning to notice changes. Homework doesn't take as long as it did two months ago, there are no more tears when she has a lot to write, she is becoming more and more independent as time goes on. She still needs a lot of guidance, but seems to "catch on" to what is expected of her a lot faster. The greatest improvement, however, has been in her report card. Last year, Erin's third grade teacher wanted to fail her because she had so much difficulty in "keeping up" with the class. This year, her first 9 week report card put Erin on the "A" Honor Roll!! She’s been working hard. Erin's mom is also excited, saying "We’re both so grateful for all the wonderful work being done in this office!!!"